Receiving new workout clothes is always fun! Not only is it nice to get rid of old clothes a runner may have sweat in a time or two, but having new active wear with cool styles can motivate a person to workout right then and there! Releasing muscle tension is incredible important. If a runner doesn’t have access to a foam roller, they may not be massaging out any of the aches and pains they developed out on the run. The benefits of a foam roller include, improved circulation, increased blood flow, releasing muscle tightness and breaking down knots in muscles. Another benefit to this gift is that they are relatively inexpensive! This is not your average water bottle. So why go stainless steal? They are known as the safest and most durable option for refillable water bottles. In addition to not leaching chemicals into the water like a plastic bottle might, stainless steal bottles have been shown to produce less bacteria than other medal water bottles. High Intensity Interval training (HIT) is proven to be a very effective approach to exercising. Working out in intervals is a great cross training alternative for runners because it burns calories fast and increases a person’s metabolic rate. By using an interval timer, a runner is able to concentrate more on their training versus having to reset a stopwatch or cardio machine every interval. This type of timer automatically cycles through intervals you preset, so you can concentrate on the workout versus the clock. 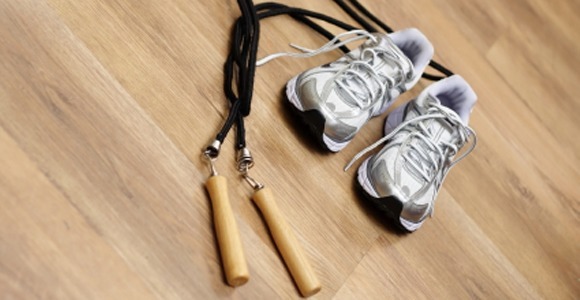 Why buy a good old fashion jump rope? For a great workout of course! It’s an effective way to burn calories and condition your body. This portable workout tool can be used at home, in the park, in the city, at the gym or anywhere you’d like to take it! As a person progresses with their technique, they can begin mastering a variety of workouts including single unders, high knees and double unders. How you fuel your body is just as important as how you train it. If your runner is into meal prepping and making sure they are getting the proper balanced diet, purchasing a nutrition scale can help them perfect their goals. To avoid eating portions larger than recommended amounts, using a food scale assists with portion control and keeps a person from eating more than they planned.